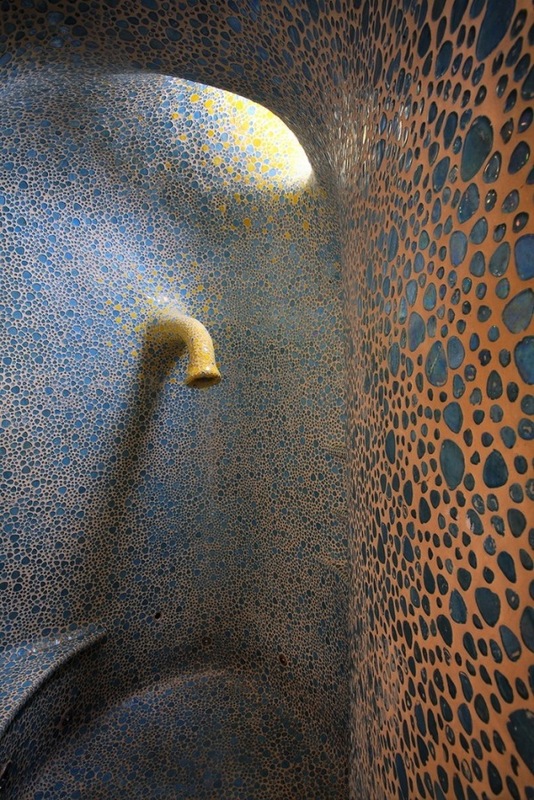 Mexican architect Javier Senosiain, a staunch supporter of bio-architecture is studying nature in terms of engineering. 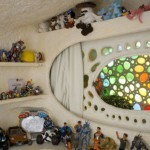 His ideological inspirers are Antoni Gaudí and Frank Lloyd Wright. Senosiain’s architectural work reproduces the style and design features of living organisms. 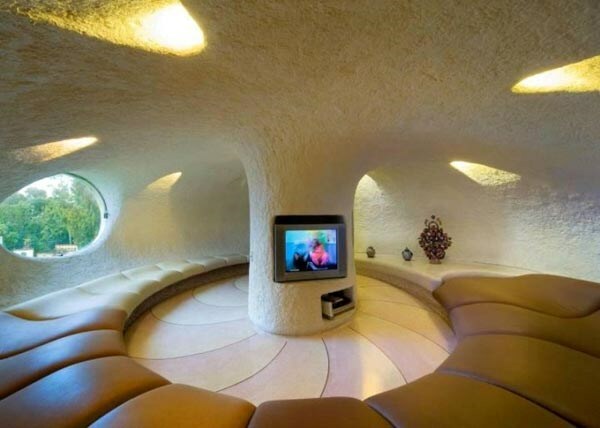 His style of modern architecture is created by the principle of natural structures, which the author embodies in the bio-architecture objects, trying to adapt in such ways the laws of nature to human needs. The connoisseurs of the original architectural forms wonder of his creativity. 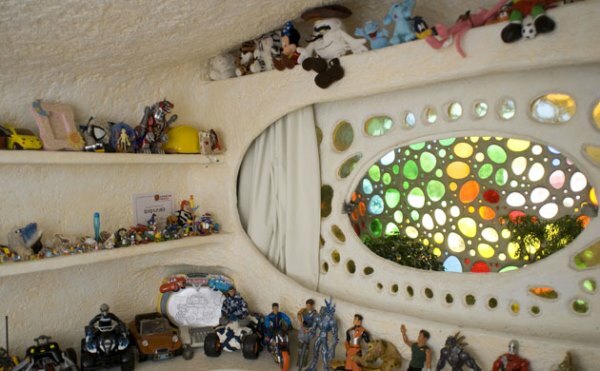 Here is an example of the magical and beautiful home that the architect designed for a family consisting of parents and their two sons. 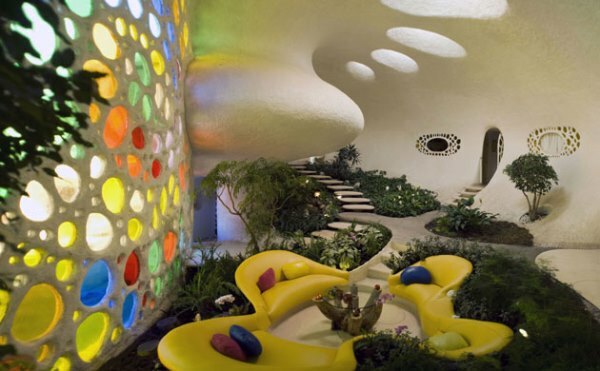 The family, the owners of the wonderful house, lives in Naucalpan de Juarez, Mexico. 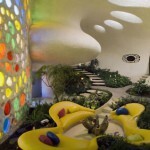 Nautilus House is not like the traditional houses in the area. 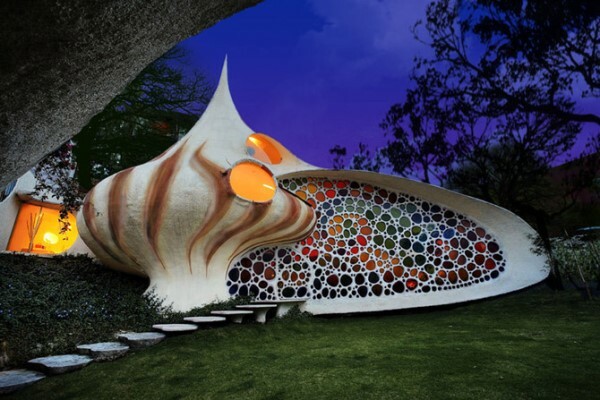 And this is natural, because it is designed in a form of a huge snail shell. 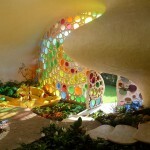 The building turned out very bright and colorful due to the large number of stained-glass windows. 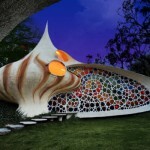 Bionic architecture of Nautilus is characterized by smoothness and continuity of lines as if flowing one into another. For example, the inner garden is an extension of the living room, and the dining table in the dining room is like growing out of the wall. At the rear of the house there are bathrooms, bedrooms and kitchen. There are three tracks, leading from the spacious living room with a green “carpet” of shade-loving plants to the two cozy cave-like children’s bedrooms, and to parents’ room. 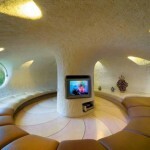 In the center there is a round guest room with a TV and comfortable sofas. 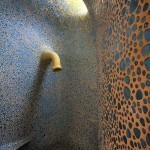 The bathroom walls are almost completely decorated with mosaics. The house is constructed of grancrete, which is more sturdy than cement, fire-resistant and provides good insulation. 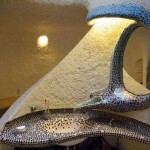 The building is earthquake-proof, which is an important characteristic for a home in a region such as Mexico. 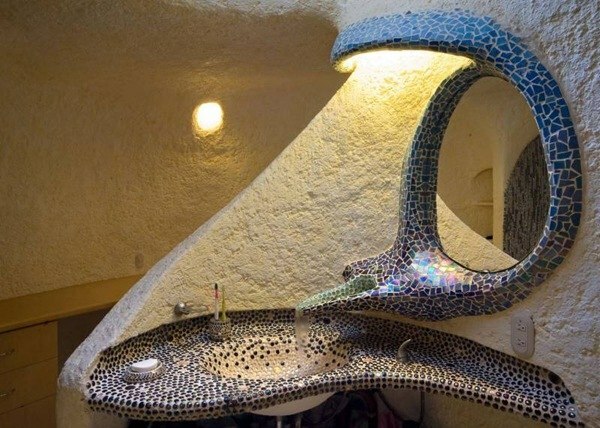 The author of such unusual designs believes that modern architecture should draw inspiration from nature, and not simply repeat external natural form, and reveal their natural properties. 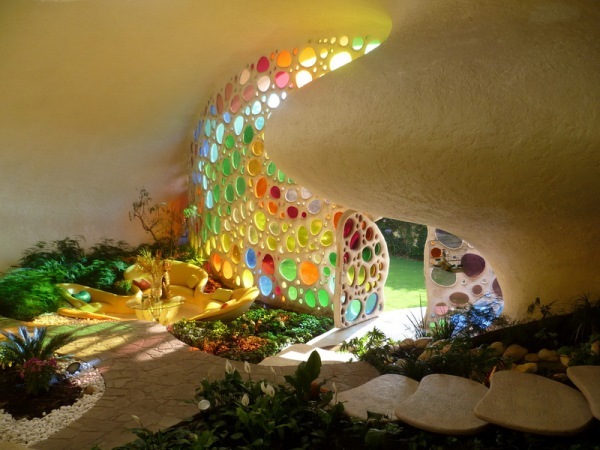 Javier Senosian outlined the basic principles of organic architecture in his book «Bio-Architecture», written in the spirit of bio-tech. Aesthetics of this architectural approach is the antithesis of the high-tech and encourages architects to borrow natural expressiveness from wildlife.